SANTA MONICA, Calif. – I’ve always thought that if the various Protestant denominations can be said to represent a socio-economic sector of American culture, then the people who made up the United Methodist Church (UMC) were the middle of the middle. I mean that across the country – and particularly in this region, which includes Southern California – Methodists never wanted to be bothered about too much social or economic justice, and when they were it was a sign that even the center of the country was getting on board. I can vividly remember when, in the early 1970s, the UMC in my region finally climbed on board the national grape boycott to support farm workers, just as I can recall when the Conference (as the regional body is called) decided to push for divestment in South Africa. So this year when a wide majority of delegates supported divesting from fossil fuels, I knew something had shifted: Human-caused climate change had penetrated the middle of the middle and divestment was seen by them as a meaningful tool to stop it. Divestment — taking investment funds out of fossil fuel companies — “removes the social license that allows the industry to operate with impunity,” as Sierra Magazine recently put it. But more emphatically, it attacks the choke point of capital that big oil and coal require to constantly find new deposits and take raw product out of the ground. Christopher Hayes calls this constant need for capital the “Achilles’ heel” of the fossil fuel industry. It’s not about hurting the bottom line so much as taking away its life-blood — capital. Managers of mutual funds that are not invested in fossil fuels know that this intensive use of capital for exploration and extraction does not necessarily show up in a payoff to stockholders. Green Century Capital Management’s CEO says that “in 2013 and 2014 the top 200 oil companies (by amount of reserves) spent $674 billion in capital expenditures, on projects like offshore drilling and figuring out how to extract oil from tar sands. In that same period, those companies paid only $126 billion in dividends to their shareholders.” In other words, putting money in fossil fuels is not very profitable. Divestment means “walking away from” climate change (just like divestment from South Africa meant walking away from the victims of apartheid). Divestment means “ending the dialogue” with fossil fuel companies, and losing our influence (just like with companies who did business with South Africa). Divestment “will hurt” the world’s poor the most (like it would South Africa’s poorest). Divestment “will upset” the prudent and complex decisions that investments require. Divestment attacks a sector that is “fundamental” to our economic system. Do you hear the ring from decades past? Those same arguments were the ones rejected by investors in the case of South Africa — a rejection that helped turn the tide in dismantling apartheid. Fortunately the Methodists in this Conference saw through those arguments again, joining 10 other regions across the country seeking fossil fuel divestment by the Methodists’ national pension fund. 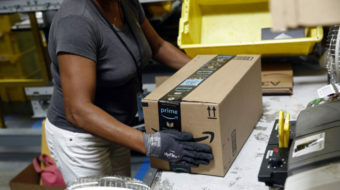 In doing so they linked arms with more than 500 campaigns worldwide https://www.peoplesworld.org/new-divestment-movement-targets-fossil-fuel-giants/ pushing for divestment by colleges, universities, faith communities, state and local retirement funds, and foundations. Internationally, some of the places that have already divested include France’s largest insurance company and Norway’s government pension fund. 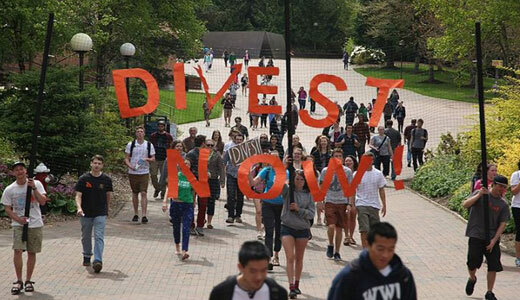 In California, educational institutions from Stanford University to Pitzer College to De Anza Community College have taken action, as well as the Methodist-related Claremont School of Theology, which has begun discussing divestment. In the East, even the foundation established with Rockefeller money — the first name in oil in this country — has voted to end its ties to fossil fuels. You could say it’s about time, but efforts like these take time. 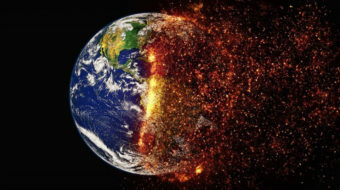 The question about human-caused climate change is, as always, do we have enough time before we reach a point beyond remedy? I take the UMC action as a sign that it can be done. Rev. 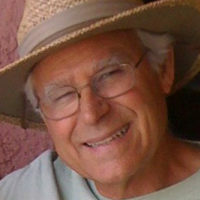 Jim Conn is the founding minister of the Church in Ocean Park and served on the Santa Monica City Council and as that city‘s mayor. He helped found Clergy and Laity United for Economic Justice, Los Angeles, and was its second chair, and was a founder of Santa Monica‘s renter‘s rights campaign.